THIS MARCH, MAKE WAY FOR AWARD-WINNING WRITER/DIRECTOR JE'CARYOUS JOHNSON'S HEARTWARMING ROMANTIC URBAN COMEDY THAT ANSWERS THE AGE-OLD DILEMMA: "FOR RICHER OR POORER"? Tina (Denise Boutte) seems to have it all - a great guy, beautiful house and her own business empire. But when her business manager loses it all, Tina is forced to reprioritize her life to figure out a way out of her financial mess. 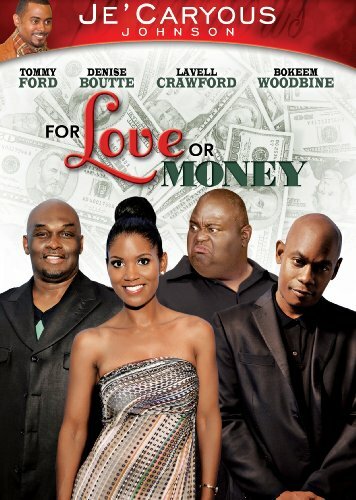 When she turn to her ex-boyfriend for help, her current man feels threatened and Tina has to make a decision: should she make her next move for love...or money? Find out in the critically-acclaimed stage play from NAACP Award-winning writer/director Je'Caryous Johnson (Cheaper to Keep Her, Love Overboard).